The HKS SLD Speed Limit Defencer - Type I is a must when wanting to go faster than the factory settings will allow. 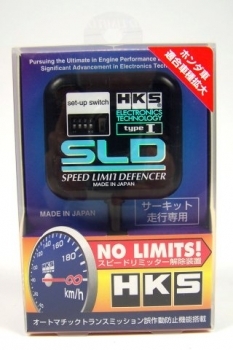 The HKS SLD is an electronic device designed to eliminate the vehicle's factory speed limiter. When competing on the drag strip or a circuit track, the factory speed limiter can hinder a vehicle's performance.